Summary: The old year has been passed with our happiness, the new year doomed to be affluent is coming. 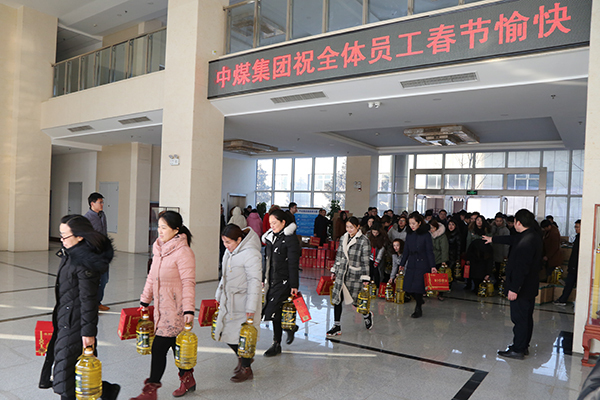 As 2018 Spring Festival approaches, China Transport distributed benefits for all staff to expressed Group’s love for every employee and thank all cadres and workers for their hard work in the past year for the development of the group. The scene of welfare distribution is at full blast despite of freezing cold weather. The leader of Group delivered welfare filled with concern and lover to each of staff. In the meantime, the leader also sent the profound care and blessing to the staff. The old year has been passed with our happiness, the new year doomed to be affluent is coming. 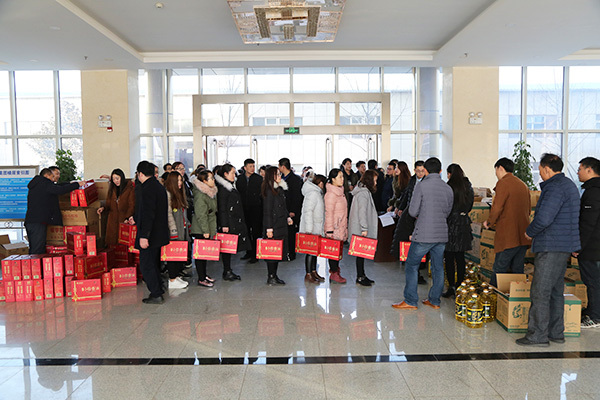 As 2018 Spring Festival approaches, China Transport distributed benefits for all staff to expressed Group’s love for every employee and thank all cadres and workers for their hard work in the past year for the development of the group. The scene of welfare distribution is at full blast despite of freezing cold weather. The leader of Group delivered welfare filled with concern and lover to each of staff. In the meantime, the leader also sent the profound care and blessing to the staff. The work of benefits distribution,under the organization of Human Resource, was orderly proceed, the employees of various departments went to the site to get the benefits in sequence. The workers carefully check the details and count the number so as to deliver every benefit to each staff without any mistakes. When the staff took over a box of benefits from the hand of leaders, they also deeply felt in the heart that the profound love from leaders. A box of benefits being both affordable and practical represented the leaders’ sincere blessing to employees and their family. The Group was surrounded by warmth and harmony in a festive atmosphere. The benefits carrying heavy cares and loves give the staff impetus and confidence. Everyone said that they will turn the cares given by the leader into driving forces to work hard and make a contribution to the development of Group with added efforts. We believe China Transport will make a significant leap in 2018 through the efforts made by the leaders and staff.